Includes book reviews of children's, juvenile, and young adult literature. 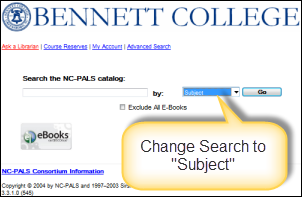 Provides search and discovery of books at Bennett College and around the world. Most titles may be requested via Inter-Library Loan (ILL).